It’s relatively common for homes to have areas in the yard that look patchy or worn after years of wear and tear. If this is the case, add value and aesthetic appeal to your property by making the grass look vital and evenly covered. One of your options with regards to lawn renovation of this kind is to reseed it using grass seed. Seeding a lawn can be very cost effective compared to new sod. Having a pro seed your lawn can cost from $500 to $1,500, but usually people spend around $1,000 for the project. The type of grass seed you intend to use on your lawn will significantly impact the amount you spend. Not only are some grass seeds more expensive than others, but they also have different coverage capabilities. For example, a new lawn that uses Bermuda will require two pounds of seed for every 1000 foot squared, while Bahia requires five times that much. Thus, it is inaccurate to assume that just because a type of seed is the cheapest per unit that it is the most economical. The key to finding the most economical grass seed is to compare the coverage to the unit price. Additionally, you need to ensure that the seed you choose is suitable for the climate and region you live in. This will prevent unnecessary repair, maintenance, and replacement costs in the future. It’s inevitable that every grass seed will eventually need maintained to some extent, but when you choose the wrong seed, it will be a lot more difficult and expensive to keep in good condition. 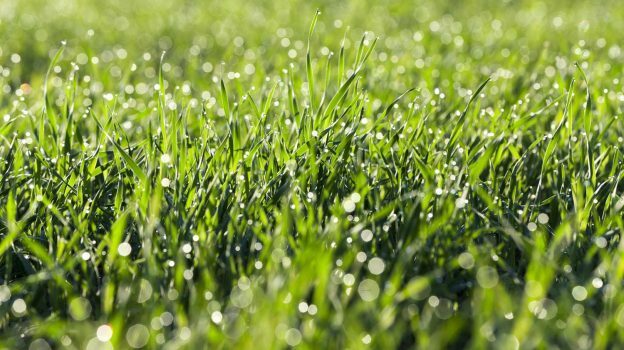 The size of your lawn is a crucial factor when calculating the cost of a grass reseeding project. To find out the size of your yard, you multiply the length by the width in feet. This multiplication result will let you know how many square feet your garden has. If your property is not a perfect square or rectangle, use our acreage calculator to find the square footage of your property using a map. The extent of work that needs to be done will inevitably add or subtract from the overall cost calculation. Covering a new lawn in grass seed will require twice the amount of seed to cover the same area when compared to reseeding a patchy lawn. Refer to the coverage for each type of seed to find how much seed is needed to cover the square footage of your lawn for a new or overseeding application, or use our grass seed calculator to estimate how much seed is needed. Cost and coverage rates for different types of grass seed. The average sized yard is 8,712 square foot, or 0.2 acres. Note: Calculations use the lowest coverage estimate so that there will always be enough material to complete the project. For example, the coverage of one lb of Bahia is between 200 and 400 square feet. The calculation above assumes the lower end coverage of 200 square feet and not the higher end or somewhere in the middle. It also assumes the price that falls in the middle of the higher and lower end estimates. For example, Bahia is calculated using a price of $6 per lb since it costs between $5 and $7 per lb. Grass seed is available in several bag sizes which allow you to purchase exactly the amount you need. Always ensure to buy a little bit more than you need to account for waste or areas that need more seed.